Once you have defined stakeholders and their contexts in the Experience design, as described at Stakeholders, you may verify in your development environment how the Me menu is presented for each of them. To do so, recall that in Bizagi you need to create end users directly at the Work portal. Similarly, you will need to map these end users to particular stakeholders in the Work portal as well. In order to map and classify these end users to stakeholders, use the Admin options in the following order and as specified at Automation Server chapters sections. 1.Users administration: To create end users in any of your environments (development, test or production). 2.Stakeholders administration: To map end users into stakeholders and configure their stakeholder-related information. You may choose to customize the administration forms used for this purpose, as described at Customizing admin forms for stakeholders. In addition to manually configuring stakeholders, you may also define conditions in Bizagi Studio so that any user that meets that condition is automatically mapped as a stakeholder. 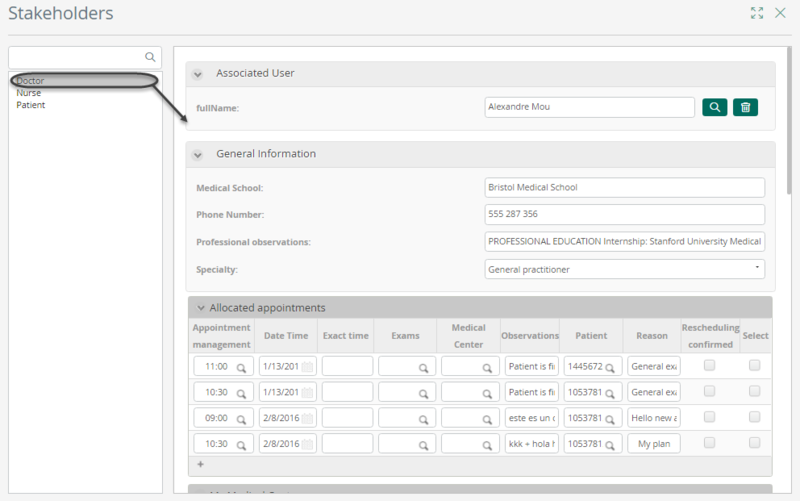 This allows you to assign users into stakeholders in batch mode. For more information about this possibility, refer to Assign stakeholders by conditions.